Round Table: "Staring at the Sun"
When, if ever, will Izzie give Alex another chance romantically? McCritic: McCritic doesn't see Izzie ever giving Alex another chance. It's not Karev's fault. McCritic believes he's a genuine, caring individual underneath that rough exterior. But McCritic also thinks Alex was too close to Denny. It will take Izzie long enough to find romance with anyone, let alone a guy that knew Denny personally. Just makes it too sensitive. McCritic is sorry, though, and hopes both Izzie and Alex find happiness. iheartizzie: It will take a while, but the way he handled getting shot down last night was promising. As long as Alex "gets it" and realizes that what Izzie needs most in life is a good friend, the benefits will come eventually. Married-to-McDreamy: I really do think (and hope!) that Izzie will give Alex another chance but I think it will take time. He needs to be careful with her. She is barely ready to be working again, let alone dating or kissing other boys. 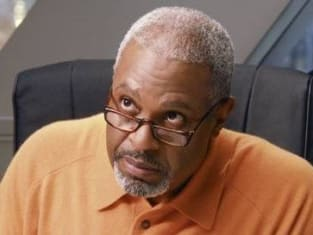 Is George's dad going to make it? Married-to-McDreamy: This is questionable. The man does not sound like he is in very good shape. If his carburetor is on the fritz, combined with the stage three cancer, his chances of survival seem about as slim as he is. Poor Mr. O'Malley. McCritic: No. Wish I could give a hopeful diagnosis, but stage-three metastatic esophageal cancer is close to a death sentence. In 2004, 13,300 of the 14,250 new cases of the disease died from it. At stage four, doctors don't even operate. Sadly, Mr. O'Malley looks to have gone on his last hunting trip. iheartizzie: It doesn't look good. Burktina drama aside, the cancer is spreading and his body might not be able to defeat it through multiple surgeries and agonizing chemo treatment. It's tragic, because he clearly loves George more than he's able to express. Mr. O'Malley is now part of two of my favorite scenes in the show's history: Last night, when his face lit up upon Cristina saying what a good person George is, and last year, in "Thanks For the Memories," when he shook his head with amazement (and pride) as George described saving the man's life in the elevator. Will Dr. Burke admit he's having problems with his hand? Married-to-McDreamy: It doesn't look like he's going to have a choice in the coming episodes. George has clearly found out about his secret and Miranda may be realizing that something is amiss as well. 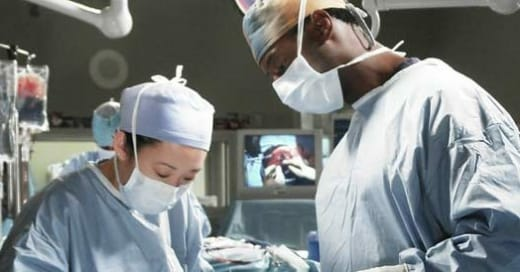 I predict lots of drama for Dr. Burke and his right-hand (literally) man, Cristina, very soon. McCritic: He'll confide in George. Together with Cristina, this trio will figure out a way for Burke to receive help without admitting to the hospital such a dangerous cover-up. Preston may be out of the OR for awhile as a result, but the leave will give him more time to perfect his blueberry pancakes. And that's never a bad thing. iheartizzie: Dr. Burke is a man of integrity. He's McPerfect, so much so that we've debated whether or not he is even human. As hard as it is for Preston to admit to himself that he's not making the grade, it will be even more difficult for him to lie to others amidst increasing speculation regarding his condition. He'll come clean. What happens after that is anyone's guess. Do you prefer Meredith bright and shiny or dark and twisty? McCritic: How about quiet and hidden? iheartizzie: I like that she gave bright and sunny a try. But I also like that it didn't take. One of the best scenes from last night was second time she and Derek sat in the bathtub. Worn down by life, rather than eternally optimistic, he jokingly pledged that he would remain "dull and lifeless" with her. It was a very real moment. While being constantly down in the dumps doesn't get you anywhere, bright and sunny is easier said than done. 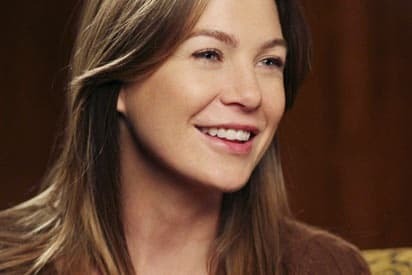 Married-to-McDreamy: I most definitely prefer dark-and-twisty Meredith. The bright-and-shiny Meredith made me uncomfortable and I felt as though she had been possessed by aliens or Scientologists.